This weekend marks a year of me being married. Really and truly never thought I would type the words “me” and “married” in the same sentence. Just never really made sense to me. Then things changed and man do I have it good. I mean really good. Sort of crazy, actually. I’m not sure that “jackpot” is strong enough to describe my current status. Ok, let’s quickly switch gears. 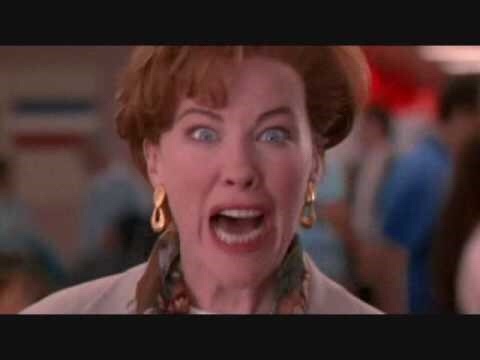 I was at the airport recently and observed this lady screaming at the top of her lungs at her husband. I am talking full meltdown here and with a crowd. This was a “I gotta stop and watch this train wreck” kind of situation and I’m the guy who thinks that people who slow down on the freeway to see what happened have nothing better to do with their lives. I never slow down. Ever. But I couldn’t help myself here. This was a true “til death do us part” deal breaker yelling scene. Now at this point some of my key instincts kicked in. How do I help her? How do I help him? Do I somehow make a joke about “cultivating a great relationship”………….nah probably a bad idea at this point. Even I know that. All I could imagine is how brutal this must be. Don’t think you can get to an episode like this and have it be a one-off. Can you? I don’t think so. I also started thinking about how much alcohol or foreign substances need to be consumed in this household to keep things from rambling out of control. Yea, alcohol is definitely a logical explanation. I believe in the human race and mankind…..but it goes down fractionally every time I see episodes like these……….it’s really sort of crazy. Only second to people whose cars are a complete mess—hard for me to imagine. So, what’s the moral of all this mess? I need to get my wife a nice gift. She needs to know that I really respect her and appreciate the fact that she loves me in an A+ over the top way. Makes me feel very good. Basically, I need her to know that I realize I hit the jackpot. My man Nick Saban rolled to his 5th National Title in 9 years and kept the ROLL TIDE dynasty moving with an outstanding win in an unbelievable game. Some are saying it was the greatest game of the decade. It was pretty epic. More than anything I was inspired and moved almost to tears by the actions of one player. The player that got benched. The player that had been 25-2 in his career coming into the game. The player who struggled. Prior to the game I didn’t have much feeling for him one way or another. He was mainly a running QB playing on a team with a great defense and great tradition. But on this night he didn’t have his best stuff. And when they went in at halftime down 13-0, he was playing poorly. Keep in mind Hurts was the PLAYER OF THE YEAR the prior year in the SEC Conference as a true freshman. He was THE MAN. But on this night he was benched. 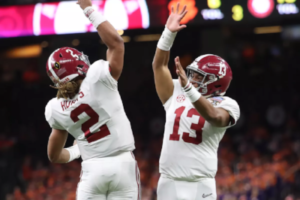 Nick Saban went into the locker room at halftime and told him and his back up (Tua Tagovailoa), “we’re gonna rotate QB’S in the 2ND half and Tua is gonna start us off”. Wow. The National Championship and you’re benched at halftime. That’s gotta sting. Well folks it was inspiring. He was the biggest cheerleader for the back up QB in the 2nd half. He was first off the sideline to congratulate him when he made a great play. He was totally ENGAGED with him on the sidelines. Keep in mind his back up was a TRUE FRESHMAN who was playing on a high school football field a year ago. You think it was helpful to Tua to have last year’s player of the year pushing him forward and encouraging him? Think it helped his performance? I think it did. I think it was a difference maker. I know 40 year old’s who would have pouted if they got benched. This kid was in the GAME OF HIS LIFE, and he had the poise and inner strength to not make it about him………he made it about the team. And I can’t stop thinking about it. And moreover, how come Jalen Hurts wasn’t rooting for him to not do well so he could get back in like so many other kids would? After all, Saban said “we’re gonna rotate in the 2nd half”…………… Well I’m not sure but I got the tape queued up so I can show my future children what being a great teammate looks like. Jalen Hurts showed us. And it was so epic. 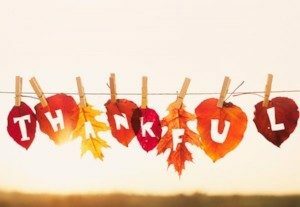 Happy Thanksgiving everyone!! What a great day to reflect and give thanks for all we have and to be alive!! This year’s annual Thanksgiving Day blog will be shorter on fluff and longer on real TACTICS!! Wow, what a preview. Will the Lions win? Will the Cowboys lose? How many times will they show me Jerry Jones in his private suite? Will you eat too much? This year I decided we need to get down to business. I have 5 SURE FIRE tactics for you to improve your days, life, productivity, outlook, and perspective. Get your calendar ready cause here we go. Copy and paste BYOG link (my man Dabo Swinney below) to the 1st of every month in your calendar for all of 2018 to watch. It will get you pumped up, make you laugh, and give you a bolt of energy. It’s like a 5-hour energy shot that doesn’t slowly kill you from the garbage they put into energy drinks. And it lasts much longer than 5 hours. Make it a point to drink less. Most of us drink way too much. My simple tactic is to cut and paste this into your calendar RIGHT NOW for Sundays at 7pm: “Look at calendar for the week and cancel a night of meeting people for drinks and replace it with yoga”. You’ll thank me later. It’s better for you and most of us don’t invest in ourselves enough. Every hour at yoga is an investment in yourself. Don’t want to do yoga? Meditate. Cut and paste this into your calendar for every Wednesday morning at 730am: “Send 1 email or text to someone I care about in this world and tell them why.” That WHY is very important. Cut and paste this into your calendar for every Friday at 8am: “Start every sentence for the next hour with ‘you’ instead of ‘I’.” So many people start every interaction with I, I, I, I. It gets really old for the listener. Start focusing on the other person involved in the conversation. Invest in the people you love. After 9 months of marriage, I’m loving this married life. My wife is awesome and I’m really lucky. I know I’m the “newlywed guy”………but there is nothing that says you can’t recalibrate your relationships by putting something in your calendar 2 times a week to “feed the meter” or “water what I love”. In my experience the more you feed or invest in the things that are important to you, the better they get. And there’s no shame in reminding yourself to be creative weekly in your calendar. I personally have absolutely no choice as The Guinness Book of World Records is coming to see me soon for “all time marrying up”. I gotta mind my business big time cause I’m terribly overmatched. That’s all. Five very easy things to do and incorporate into your routine to be more productive and happier tomorrow than you were yesterday. This past week in the news Capital One put out a press release, announcing they are shutting down the mortgage division of their company because “it’s too competitive”. That’s literally what the leadership said. It’s too competitive. Wowza. So I took a step back and sort of thought about that. I can’t imagine telling my team that I just decided we’re done ’cause it’s “too tough”. There’s a lot of risk when starting any company or a new division to a company. There are a lot of challenges involved, responsibilities to people, their families and the team in general. For me, it was a lifelong goal to have my own business and focus more on the client experience and deliver on a promise of something better than all the “me too” mortgage nonsense going on in the world. It was so glaringly obvious that the consumer needed a company that was focused on them. So that conversation turned into a dozen people……. and a year later we started to pick up some steam. We’re still growing at Hall Financial and that’s a big endeavor each and every day. As we continued to grow our business we have had to make choices. One of our early big decisions was do we stay small or do we expand? It might be my name on the front door, but it’s far from just me making the decisions. In fact it’s a highly collaborative effort amongst the team. I like to build consensus and make decisions as a team. Back to Capital One………1100 people lost their jobs. That’s a big deal. And the leaders told the world it’s because they thought it was too hard. You would think they might say something like, “It makes more sense for the company as a whole if we focus on our previous endeavors and will be relocating these employees to the credit card division because we value them.” But they didn’t. In fact it wasn’t even close to that. Sort of a head scratcher. I think leadership has a lot to do with a willingness to do what’s tough when things get tough. And more importantly…….. keeping a keen focus on developing people to see them hit their “ceiling”. So they can develop into their “best self”. I’m pretty sure that’s not how Capital One thinks about the world. Man, the credit card business must be a lot easier than I thought. I am asking former Capital One employees to reach out to me. I want to hear more about this story. And if you also have an “unusual ambition and hunger to succeed” (our saying at Hall Financial) then we want to hire you so you can join us in our mission to become really great. Even if it is hard. So which type of leader are you? Or do you want to work for? Is your personal agenda more important than the team? Colin Kaepernick. What else do I need to say? Well this, apparently, and it’s going to be short and sweet like Colin’s career. I am growing tired and perplexed by why people are confused about why no team wants him. Has nothing to do with his politics. Has nothing to do with his views. Has nothing to do with black and white. Has 100,000 percent everything to do with this: You can’t be the leader of the team/company/business and put your own personal agenda ahead of winning. You can’t. It’s the number 1 rule of anything if you want to be successful. It doesn’t matter how talented you are. It doesn’t matter the hours you put in. You play as a team, on and off the field. So the lesson for all of us. Put yourself ahead of the team. And you lose. And you should. Burn Your Ships, Ignite Your Confidence, and Douse Your Fear. Is it a bit of an overstatement to say, “Nobody goes all in with their goals anymore”? Maybe a little but I see this increasingly as a problem in people that are trying to do big things. It’s always, “well if this doesn’t happen, then at least I’ll have this.” I often wonder if this mentality sets us up to fail because we’re subconsciously aware of that safety net. There’s the fighter and the runner. What happens when you don’t have the option to run? You fight. Your survival instincts take over. When failure isn’t an option, you adjust your course to reach your goals. There is something to be admired about the Spanish conquistador Hernan Cortes before he was feared as too powerful and therefore stripped of said power. Upon arriving to Veracruz with 600 men, he ordered his men to destroy the ships. Upon reaching new, unfamiliar ground, they burned their safety net. Only two people exist in the world at this point: those who believe it’s absolutely foolish and those who want that level of confidence. Two years after the burning of the ships, he gained control of Mexico. The Aztec Empire fell. His conquest was successful. If you want to not only chase your dreams but achieve your dreams, you need to have a one option mindset. And that one option needs to be Success. Nothing else. Cortes knew that by removing the option of fleeing, he was removing the option of quitting. There was no going back. 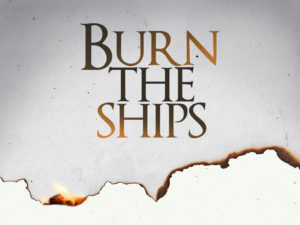 That’s pretty damn powerful: burn the ships. Imagine how you would tackle your goals if you knew failing wasn’t an option. As you head into your week, mentally remove all those safety nets—the backup job as a bartender, relocating to another department in another state, the idea you’ll just work out twice as hard the next day instead or will run off that donut later, you’ll always have next year, there’s always next time, etc. Remove all of it. Lay out the path of success. What does it look like? Do you feel the chains of negativity break? Can you feel the freedom? This week, burn your ships. The biggest thing we can learn about the Fox News/CNN phenomenon. I am a bit of a purist. I like traditional things and in some areas I’m sort of old fashioned. I sort of long for the days when George Kell and Al Kaline would bring me Tiger baseball in my youth. Man those were some great memories and certainly a reminder of my days growing up and what television was to me. All sports all the time and Kell and Kaline giving it to me straight. In my view, recent television has for the most part moved more and more to “reality TV”…which of course is what sports is. But these days it’s not about sports at all. 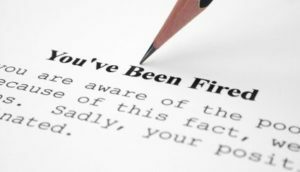 The more real the tv the better………..girl’s feelings get crushed on the Bachelor, ratings go sky high………Trump forcibly says “you’re fired” on The Apprentice and everyone tunes in……….Survivor—hey you’re outta here. You’re kicked off the Island!! We can’t get enough. Now, the rawest form of reality TV is on display 24/7 these days in the form of CNN/Fox News. And it has sort of always amused me that the “news” they broadcast that is so biased in one way or another, draws so much attention. Then it occurred to me…..this is the latest in reality TV. But this unintended version of reality tv has a new twist. As much as it walks the line of reality TV, it walks right up the kazoo of “CONFIRM MY PERSONAL BELIEF SYSTEM”. And that’s new. We’ve gone from entertain me with sports……to surprise me with pure reality/heart break……to sprinkle some reality into telling me how smart I am. You see, people don’t watch Fox or CNN that much as to see the “reality” of it, but to continue to reinforce their own thought processes. And deepen them. And confirm them. Makes us feel better when we do that. Wouldn’t someone really advanced in thinking and so “impassioned” by the “GOD DARN GOVERNMENT” want to seek to understand the other side of the aisle instead of just reconditioning all that they know or think to be the single source of truth? Of course they would. So why don’t many delve into the other side with an open mind? Because by nature we aren’t open minded. We hold on tight to what we believe because it makes us feel better. When it comes to politics, do we actually know all the facts? Isn’t it true we probably know about 17% of what’s really going on? All the back room deals and internal stuff happening that we have no idea about doesn’t stop us from forming strong opinions though, does it? I continue to scratch my head about “absolutes” in life as there really aren’t that many. 1. There are 3 sides to every story. 2. There is always information you don’t know. 3. Politics is really dirty and these guys get paid to spin their story, not tell the “truth”. 4. There is a lot of money to be made in television because the broadcasters get ratings. Not because they are right. Me? I’ll stick with George Kell and Al Kaline. I think they tell me the truth. I’m sort of a purist that way. Mother’s Day is Legit Legit. In the Hall household growing up, May was a big month. My brother was born in May. Mother’s Day is in May. In fact, my momma’s-boy brother was born in 1974 on Mother’s Day!! What a gift!! One thing I learned more than anything from my mom………moms like cool things. They like cool lingo. They want to be a part of the action. They don’t like being left out. People used to ask my mom why she watched so much Sports Center and she would reply “with a house full of boys I don’t like being left out of the conversation.” That pretty much sums up how cool my mom was in general. Moms also like controversy. Controversy can be fun. I falsely accused my mom when I was 14 years old in a moment of weakness of “shrinking my laundry on purpose”. Yea I actually said that to her. She thought I was nuts for sure…and she also thought it was funny. It made me feel better when I later apologized for “wrongly accusing her”. She asked me if I knew I was nuts. I didn’t realize it at 14. Of all the holidays, Mother’s Day is the best and most important. Moms matter. A lot. (Remember my blog about birthdays and how we should really be celebrating your mother instead of you?) They do stuff that really amazes me. I can make a list but I won’t. Actually what the hell, I will. 1. They tell you what you want to hear, at the exact moment you need to hear it. 2. When you make big mistakes, they seem to understand the most that we are human. 3. When good things happen they are by far the most proud. 4. If things are really messed up and you need help, mom is always the go-to. 5. If you feel like all is lost, mom will tell you that it’s not…..and somehow she knows the right answer. My dad used to tell me “if you bring your mother a stick and tell her it’s a gift she will love it”. Mom’s love is probably as unconditional as it gets. She knows your flaws. She defends you to the end. She has your back unwaveringly. So today is the day to call all moms in the world just to say “you are the bomb” (or whatever cool thing you want to say). May is a month that moms should be celebrated. My mom passed away 6 years and 5 days ago…In May. May is always Mom’s month in my heart. Hug all moms today. It’s not the right thing to do, it’s the only thing to do. This blog is short and sweet. Cause the content of the video is so powerful. I’ve been noticing lately how everyone seems to consider their own individual circumstances “so tough”. The most curious quote I hear now is “I got a lot going on”, as if to imply that ALL THE THINGS these specific people have to deal with in their lives are unimaginable in degree of difficulty. It’s a mechanism for them to cope with the fact they have trouble managing their own personal lives. I actually have shifted my attitude about all of this from angry to amused. I mean, do you really think you have so very much going on than anyone else? And do you really think this is what Fortune 500 CEO’s tell their Board of Directors when things get rough at home, they have children, or if they purchase a new home? I don’t think so. Anyway, back to the story. This is for all my peeps with the “worst of circumstances” (yes this is sarcasm)…I submit to you, PERSPECTIVE! The response given by this kid tells you everything about who he has become in a very short amount of time on this earth. It will blow your mind. And give you some good Sunday morning perspective. Watched it 5 times and can’t make it through without crying yet. Let’s all get a grip.